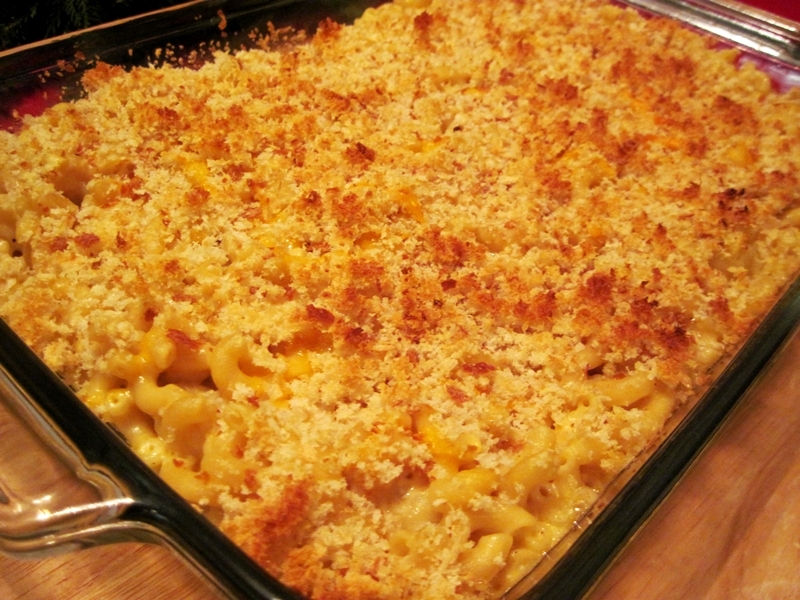 In case you were wondering, I made macaroni and cheese for my grandparents this evening. Sure, it’s 70 degrees outside (I can’t stop dwelling on that glorious detail, sorry), but my grandpa is sick and cheese makes everything better. I followed this Mark Bittman recipe pretty closely, but I used more bread crumbs and grated extra cheese to sprinkle on the top. I’m clearly thumbing my nose at weight-loss-related New Year resolutions. Next time, I’m using more cheese and adding bacon. Boo-yah! 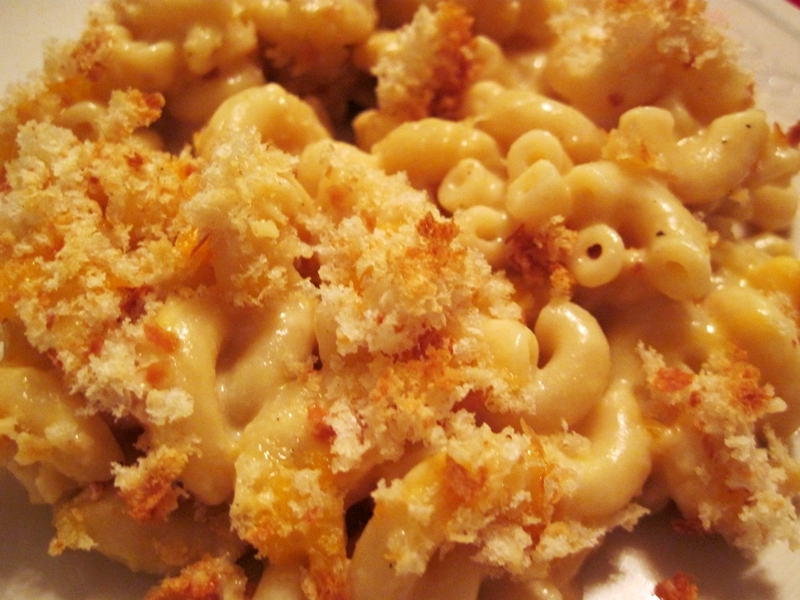 This entry was posted in pasta and tagged bread, cheddar, cheese. Bookmark the permalink. I am so tasting that wonderfully gooey chewy topping. Yum! Yummy!! Just made it for tonight’s dinner!